Is this strange-looking Sony leak an Xperia phone? If not, why did Sony post it? The image above popped up briefly on Chinese social network Weibo, where it was reportedly posted - and then quickly deleted - by Sony itself. The thing is, though, no one seems to have any idea what it actually is, including iapps.im, the Chinese site that originally spotted it. 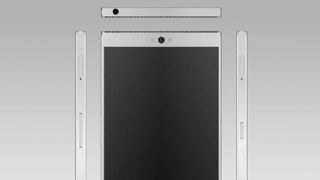 The mysterious Sony phone doesn't really look anything like past Xperia phones, which is not to say it definitely isn't the Xperia Z4. But the round home button, the placement of the front camera, and the squared edges - the Xperia Z3 was more rounded - all point to the possibility that this is something else entirely. Why did Sony allegedly post this image to social media? What phone is this? What the heck is going on? We've reached out to Sony to find out the answers to these questions, and we'll update you if we hear back.